Do Whole Food Plant Based Diets Give You Enough Protein, Iron, Calcium And Omega 3's? Is Fat Okay To Eat? What About Dairy To Get Calcium? What Do You Think About Adding Oil To Our Food? Why Is There So Much Variation In What Nutritionists Recommend? Julieanna Hever, M.S., R.D., C.P.T. is a Registered Dietitian who has been in private practice in Los Angeles since 2005, specializing in weight management, disease prevention and management, and sports nutrition. Julieanna is the host of the wellness talk show series What Would Julieanna Do? 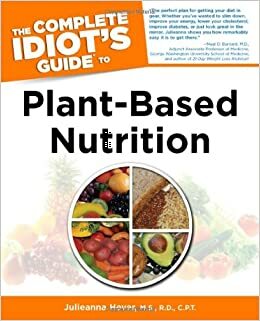 on Z Living Network, author of The Vegiterranean Diet and the best-selling book, The Complete Idiot’s Guide to Plant-Based Nutrition, and the nutrition columnist for VegNews Magazine. 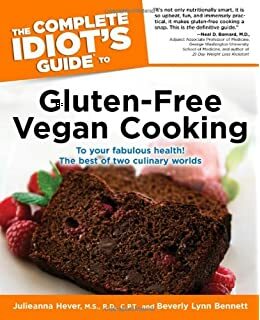 She is the co-author of the cookbook, The Complete Idiot's Guide to Gluten-Free Vegan Cooking, and a recipe contributor to both New York Time Best-Selling Forks Over Knives books. Julieanna counsels a variety of clients throughout the world from her Los Angeles, California-based private practice including elite athletes, adults, and children with various nutritional and/or medical concerns. Julieanna was recently featured on The Dr. Oz Show, The Steve Harvey Show, Reluctantly Healthy, The Marie Osmond Show, The Jane Velez-Mitchell Show, and E! News, co-stars on The Chef and The Dietitian, on numerous radio shows, and lectures extensively throughout the United States. She is published in prominent journals, magazines, blogs, and newsletters. As co-producer and star of the “infotainment” documentary, To Your Health, Julieanna interviewed a host of the plant-based world’s most respected doctors and researchers to bring this important information to film and television audiences. Julieanna has served as a Special Consultant for the best-selling documentary, Forks Over Knives and as the Executive Director of EarthSave, International, which has also provided an opportunity for Julieanna to bring whole food, plant-based nutrition to the forefront of efforts to improve the current global health crisis. Julieanna received her Bachelor's degree from UCLA and Masters of Science in Nutrition at California State University, Northridge, where she also completed her Dietetic Internship. She has taught as part of Dr. T. Colin Campbell’s eCornell Plant-Based Nutrition Certification Program, worked as a clinical dietitian at Century City Doctors Hospital, and has consulted for numerous businesses.